All the hanging basket range for hire are bespoke – made to the clients specific sizes, colours and appearance. We also maintain baskets of trailing Ivies for immediate hire, when clients have tight deadlines to meet. 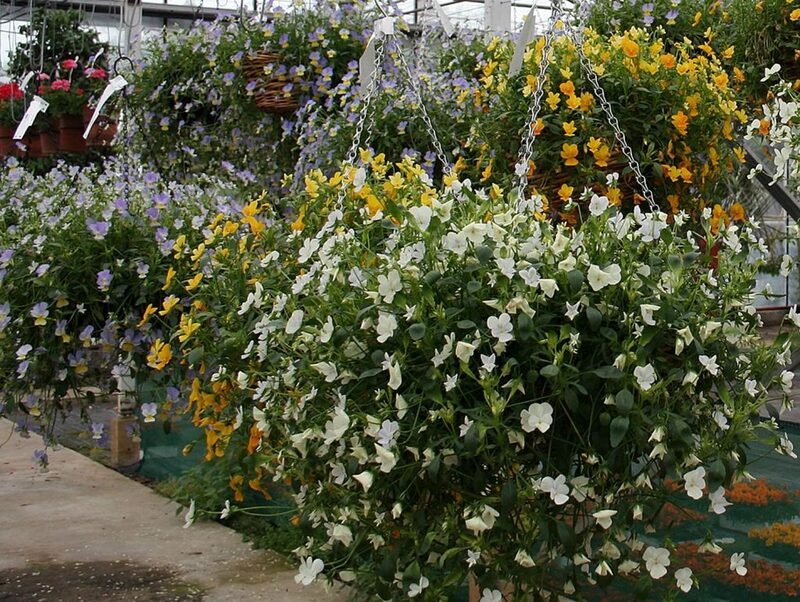 Orders to hire hanging baskets need to be placed at least 2-3 weeks in advance and 8-10 weeks in advance in order to get the fullest blooms and allow trailing foliage and blooms to thrive and produce the best displays. Hanging Baskets Hire Costs: Costs depend upon the sizes and quantities required. Hanging Baskets Aftercare: Daily watering to keep the display looking at its best.